The upcoming episode is titled as “Destiny” and it will bring more surprises that you think. Its promo has already been released with its synopsis present below. Have a look at them and share your views and thoughts. Here, we have the synopsis provided by the network, CW. CAPTURED – Being in the vicinity of the Time Masters leaves Rip (Arthur Darvill) and Rory (Dominic Purcell) incredibly disturbed for very different reasons. 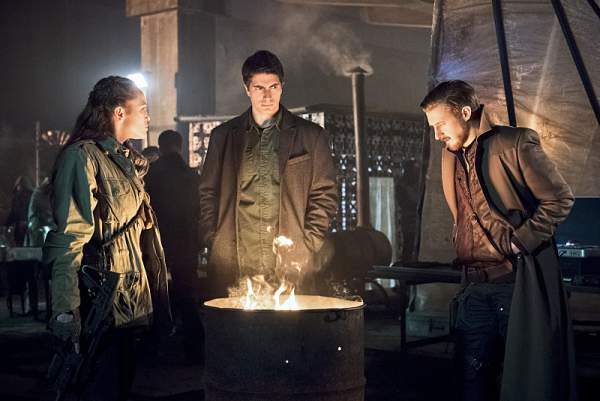 Meanwhile, Sara (Caity Lotz) takes over the Waverider, Kendra (Ciara Renée) is reunited with Carter (guest star Falk Hentschel) and Snart (Wentworth Miller) decides he might be a hero after all. Olatunde Osunsanmi directed the episode with story by Marc Guggenheim and teleplay by Phil Klemmer & Chris Fedak.